Excellent owner and great location.The room is very plesent and quiet big. Great value for money!! Het appartement was ruim. Wel wat verouderd, maar heel schoon. Het meest beviel ons, deze griekse familie. Wat een ontzettend lieve mensen en wat voelde wij ons welkom!! Georges est une personne géniale,accueillante, généreux, à l'écoute, il fait tout en son possible pour vous rendre le séjour le plus sereinement possible. Des locataires de toutes origines et de tous âges qui permet de faire des rencontres. La piscine est impeccable. Tous les commerces, arrêts de bus, plages, bars, boîtes de nuit, restaurants sont entre 5 mettres et 15minutes à pieds sans pour autant que l'hotel soit bruyant. Le seul bémol est qu'il fait extrêmement chaud dans les chambres sans la climatisation.. Séjour au top ! კარგი სასტუმროა.სისუფთავე და სიწყნარეა თვითონ სასტუმროში.ბასეინი პატარაა მაგრამ სუფთაა და საღამოს გაგრილება შეიძლება.სასტუმროს მეპატრონე მართლა კარგი კაცია,ყველანაირად ცდილობს სასიამოვნო გარემო შეგიქმნას და ყველაფერში ხელი შეგიწყოს.სასტუმროდან გამოდიხარ და 30 მეტრში ცენტრალურ გზაზე გადიხარ სადაც ბევრი კაფე და გასართობი ადგილია. ხედი სასტუმროდან დიდი არაფერი მაგრამ ადგილი კარგია.სადმე გასვლა გამოსვლის პრობლემა არ არის ყველაფერი ახლოსაა-პლიაჟიც,კაფეც,მაღაზიებიც და ბარებიც.მოკლედ მე ძალიან მომეწონა და ვთვლი რომ ღირს ამ სასტუმროში გაჩერება. 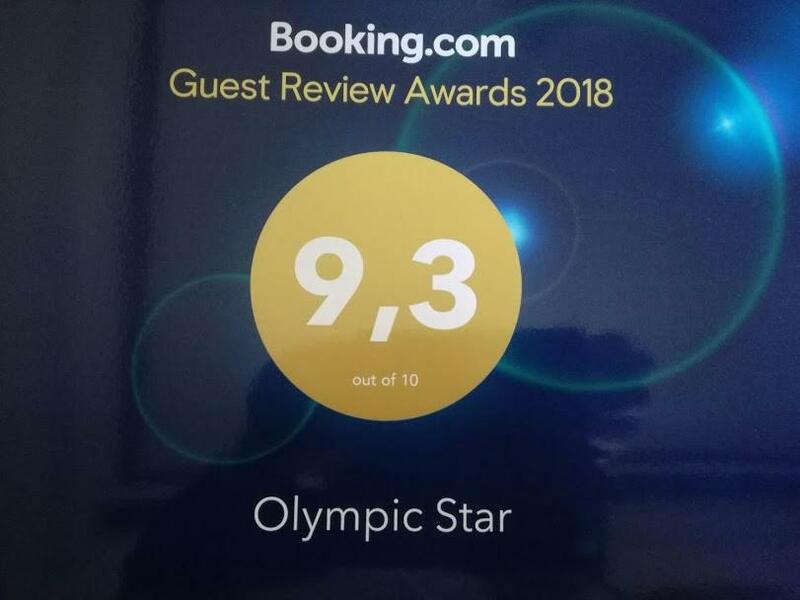 Lock in a great price for Olympic Star – rated 9.3 by recent guests! 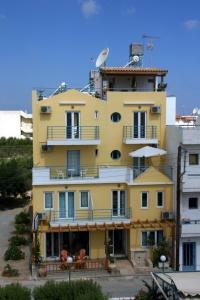 Just 400 feet from Glaros Beach in Hersonissos, Olympic Star features an outdoor pool with sun beds, and a snack bar. 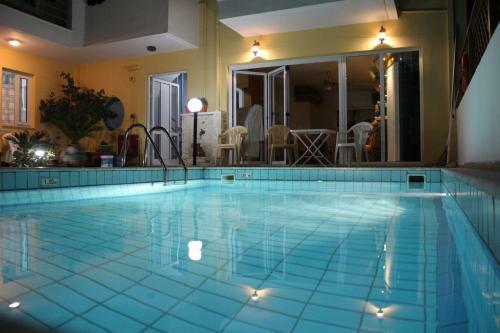 Guests have access to a well-equipped gym including a sauna and hot tub. Free Wi-Fi is available. 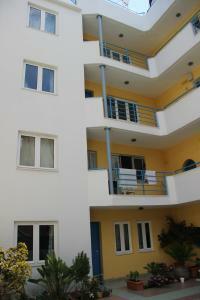 Opening to a balcony, all studios and apartments have a kitchenette with 2 cooking hobs, a mini fridge and dining table. 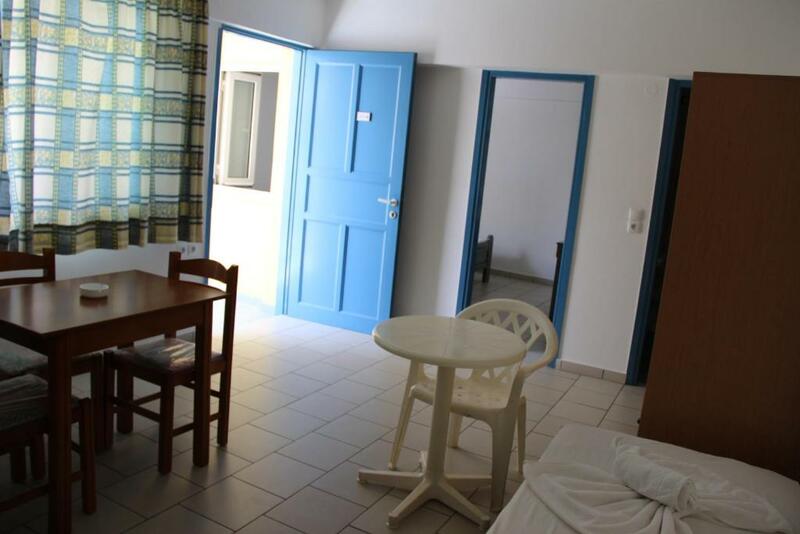 Fitted with tiled floors and green, wooden furnishings, each includes a TV and private bathroom with bathrobes. Some accommodations types offer pool views. Guests at Olympic Star can order a continental breakfast to start their day. Light meals and refreshing cocktails are prepared at the snack bar throughout the day. Greek taverns and cafés can also be found within walking distance from the property. The long, sandy beach of Hersonissos is around a 10-minute walk from Olympic Star. A water park with several activities lies at 1,650 feet. The archaeological site of Knossos is at 19 mi, while Heraklion International Airport is 14 mi away. When would you like to stay at Olympic Star? Opening to a balcony, this studio features a kitchenette with 2 cooking hobs, a mini fridge and dining table. Free Wi-Fi and a TV are provided. Please note that air conditioning is available at extra charge. A safe is available at extra charge. 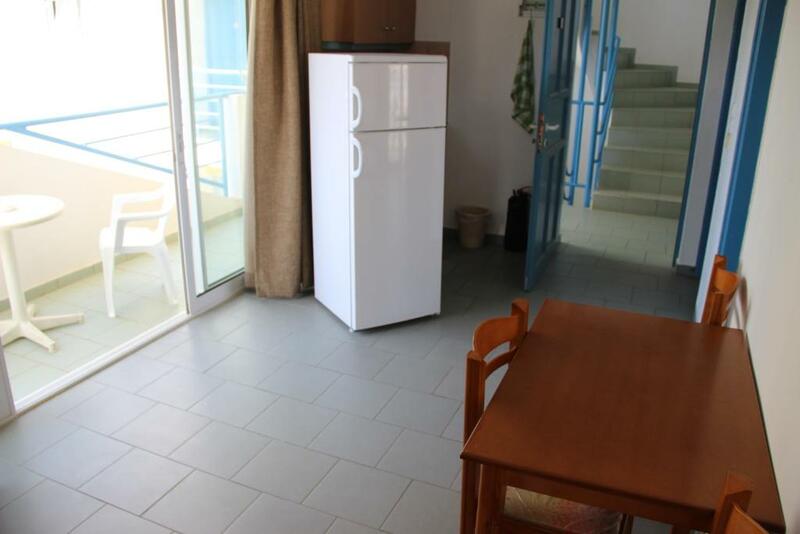 Opening to a balcony with pool view, this apartment features a kitchenette with 2 cooking hobs, a mini fridge and dining table. 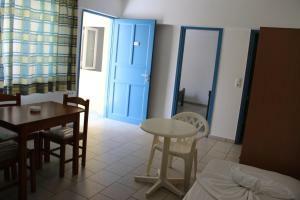 Free Wi-Fi and a TV are provided. 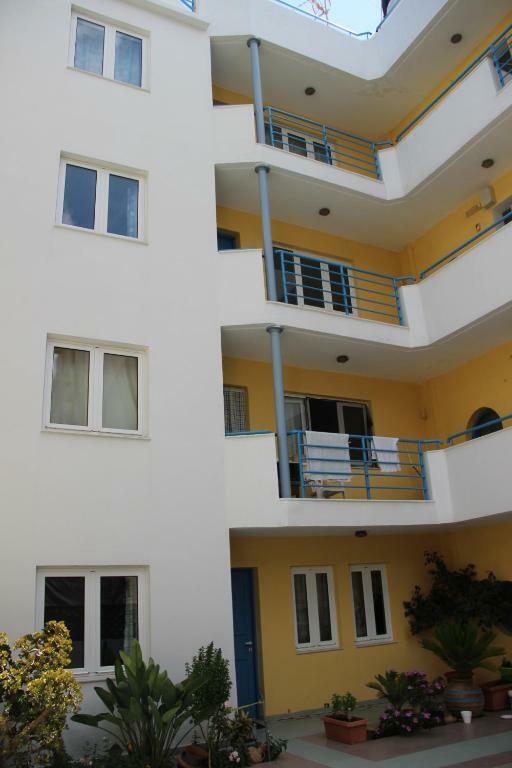 Olympic Star apartments is a new building which combines nice architectural style, and special colours, as well as comfortable unique view. Our familys friendly environment is willing to give you the best service you ever had. This means to us cleanliness, safety, and quietness, with quality of service and interest to our friends-clients. Former staff of Olympic Airways in the Airport of Nikos Kazantzakis in Heraclion. I have a good sense of tourism hospitality and a good perception of customer needs. Now i am dealing also with gardening and the cultuvation of grapes and olive trees, producing good quality of wine, raki and Cretan oil. I would be glad to share all my products and experiences with my quests!!! 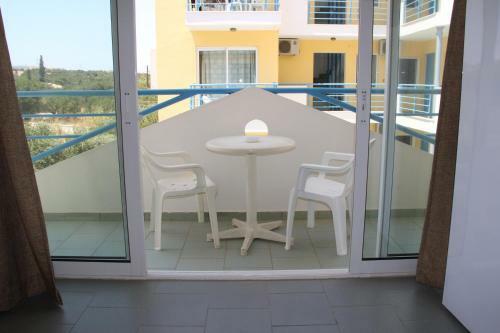 We are in the east part of Hersonisos, 500 meters from Star-Beach, 120 meters from the beach and only 30 meters from bus stop. Near to the Cosmopolitical Center but away from the noise of traffic Olympic Star gives u the opportunity of unforgettable holidays. Nice view to the mountain, with the refreshing air stream, sun balconys and terrace to enjoy sun bathing. You can find nearby many shops and supermarkets. House Rules Olympic Star takes special requests – add in the next step! Olympic Star accepts these cards and reserves the right to temporarily hold an amount prior to arrival. Please note that air conditioning is free of charge from November until April. Kindly note that safety box comes with an extra charge of 1.5 EUR per night.